While hair loss usually begins to show later in the life of a man, sometimes a male can experience hair loss at a young age. As an example, the patient showcased here started to suffer by age 23, losing the entirety of his hairline and most of the hair on his crown. In addition, the patient required a economical strategy, having limited resources being a student. Like many others, he turned to Dr. Umar at Los Angeles to get a solution. 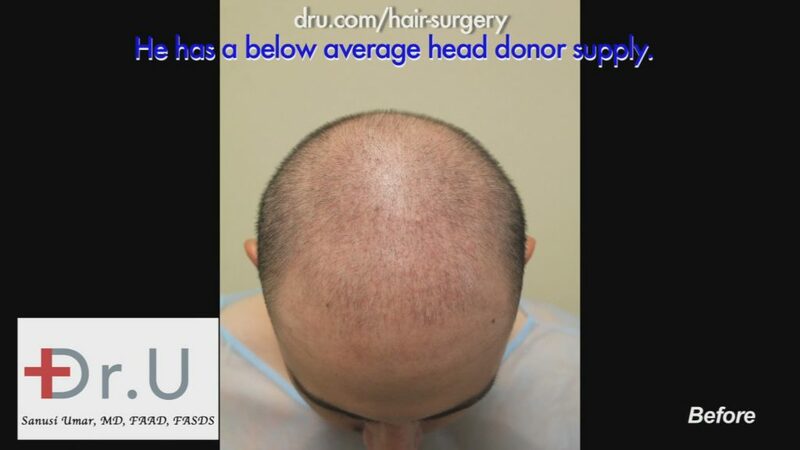 Dr. U advocated 2,000 grafts, considered a small amount for any transplant, conducted on two separate sessions. The strategy was to accomplish a ‘less is more’ alternative adding density to his crown place along with restoring his hairline. By harvesting from other components of his head and neck, Dr. Umar managed to strategically space from the Dr. UGrafts to mimic the look of a full head of hair. 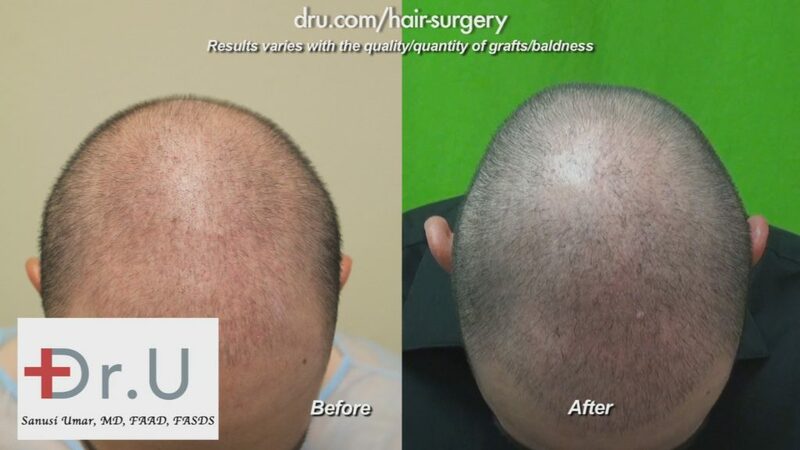 Regardless of the age and the budget, a successful solution can been reached by Dr. Umar and his Dr. UGraft for young aged hair transplant. Thank you for this amazing video Dr. Umar. The artistic component that this procedure and approach entails is understated. This approach would give a vast amount of people options. Good strategy with the minimalist approach, this is the approach I am thinking for myself also, I think this can last him a lifetime without having to constantly think about his hair.